Today we’d like to introduce you to Anthony Desamito. 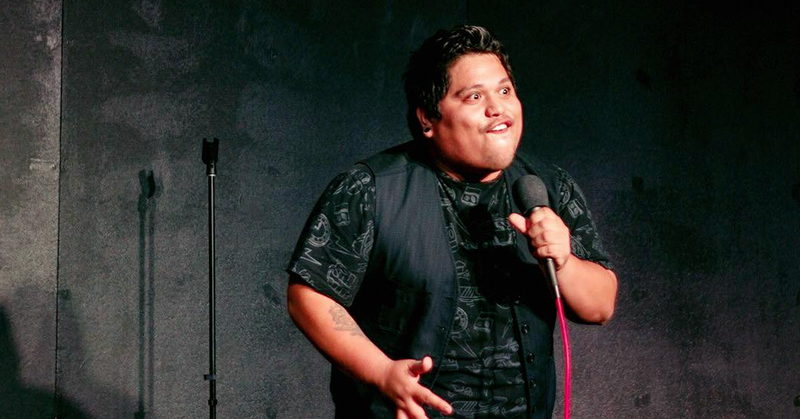 I started stand-up comedy when I was just about to turn 21 in Phoenix, Arizona. I was going through a break-up, actually now that I think about it, we weren’t ever really together, I was just in love with this guy and I realized that he was just leading me on. So I went to a comedy show at the Hidden House for the first time ever and saw what the scene had to offer. I said to myself, “Oh, I’m funnier than these guys.” I asked Kirk Buckhout, who co-ran the show if I could get some stage time soon and within a couple of weeks, I did my first set! I angrily ranted about the guy I fell for, very much like the Marvelous Mrs. Maisel, but with more make-up. I cut my teeth for six years in Phoenix before moving to LA. 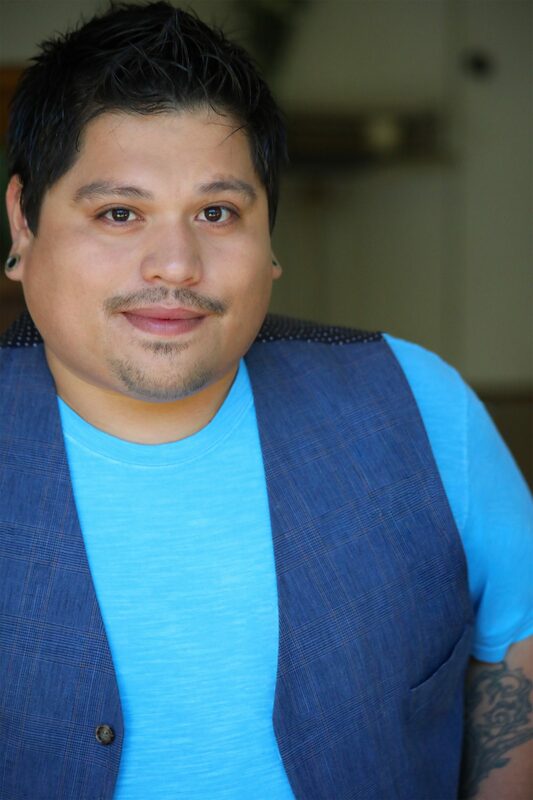 I began hosting and featuring at local clubs such as the Tempe Improv, Stand-Up Live and House of Comedy. 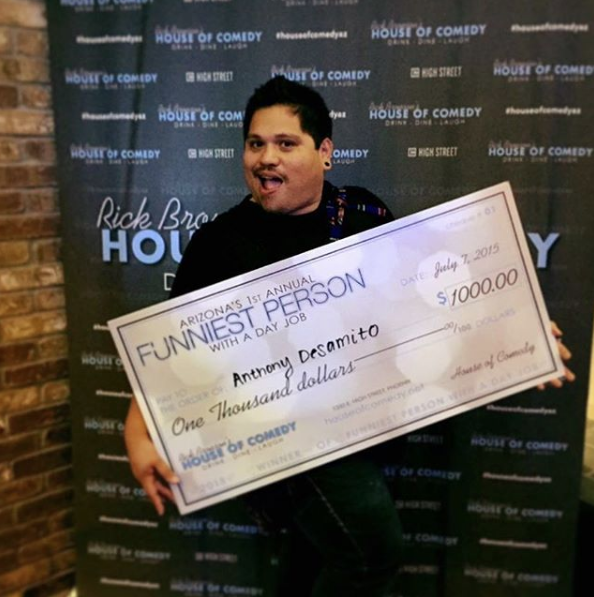 I won the Arizona House of Comedy’s Funniest Person with a Day Job in 2015 which came with a $1,000 prize. I started a podcast with Genevieve Rice about the Golden Girls called Thank You for Being a Podcast, now garnishing over 75,000 downloads, the podcast helped us network with out-of-town comedians in which we had as guests. 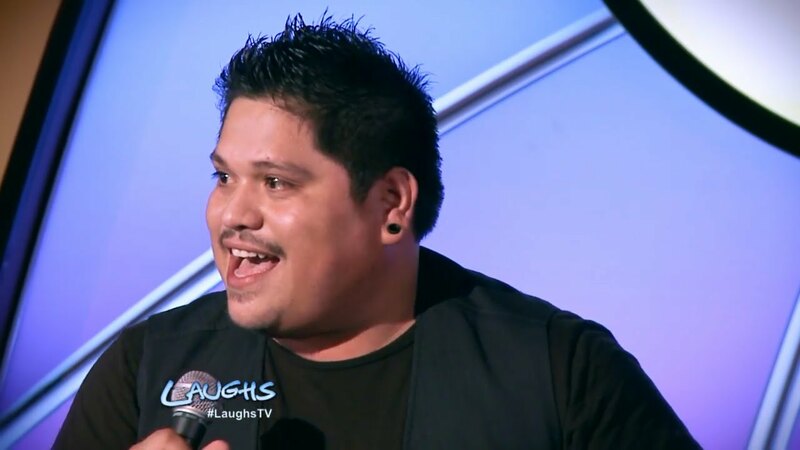 In 2015, ended up hosting a taping for FOX’s Laughs at the Laugh Factory in Scottsdale, I did a good job so they aired me on the show. I was like whaaatt?!!! I started going on the road more and performing at comedy festivals such as the Bird City Comedy Festival in Phoenix and Hell Yes Fest in New Orleans. All these things led up to me moving to LA in 2016, also I was finally less angry about men! Getting on stage in LA was tough, no one knows you. No one cares about you. My friend, veteran comedian Michelle Biloon, told me, “to go on stage and crush, every time. Don’t meander. It’s LA.” And that’s what I did, I had to prove to the toughest audiences in the world that I’m supposed to be here. The hardest part about making people believe that, it’s believing it yourself: don’t let self-doubt get in the way, but also work really hard to allow that to happen. 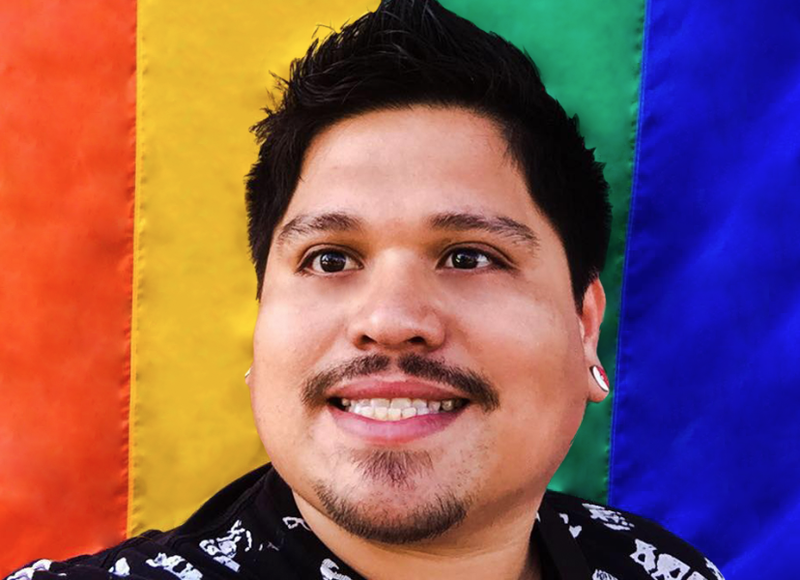 I’ve gotten to perform on some amazing shows, recently on the LA Pride main stage for a thousand people and now I’m headlining the comedy at Bisbee Pride in Arizona and I’m so excited. 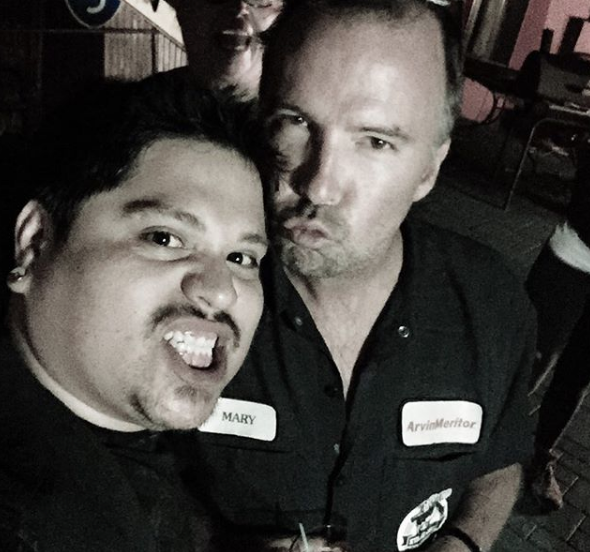 I taped recently for a gay stand-up series that is coming out soon on Hulu, I appeared recently on Mortified and on the Doug Stanhope Podcast, he who is a favorite person of mine. The road hasn’t always been the smoothest! We can’t all be discovered like Jennifer Lawrence, rescued from being stuck inside a cruise ship vent pipe by a model scout. I was born in the US but raised in Mexico. That’s right, I’m an anchor baby. My mom found a hole in the US/Mexican border fence when she was nine months pregnant with me and had me in California. We went back to Mexico because my sisters were still living at our home in Mexicali but at the age of 7 we left Mexico and started our lives in the US. My mom single now, raised 3 kids in Arizona and worked as a housekeeper to make ends meet. She’s my hero and the most badass person I know. Even though we were poor, she always made us laugh and we adopted her humor. I’m a starving artist today and I’m okay because I can make people and myself laugh and that’s all I really need because that’s all I was taught to need. Thanks, Ama. Growing up gay and Hispanic, and as my 5th-grade teacher, Mrs. Davis called us, “fresh fish from Mexico,” wasn’t easy. I used humor to combat those who wanted to pick on me in high school in Yuma, AZ and told this very story you are reading to win enough scholarships to go to Arizona State University and graduate with a degree in Performance and Video Art in 2012. I still owe some money though: wink, wink, rich people out there reading (you can Venmo me @AnthonyDesamito, also do rich people use Venmo?). I began stand-up in a very conservative, red state, which wasn’t a walk in the deserty park. I had to constantly convince a crowd of retired (Arizona has a lot of snowbirds), wealthy grandmas and grandpas that I’m relatable even though I don’t look like them, talk like them, own a gun or go to church (or go to gun church) as they do. 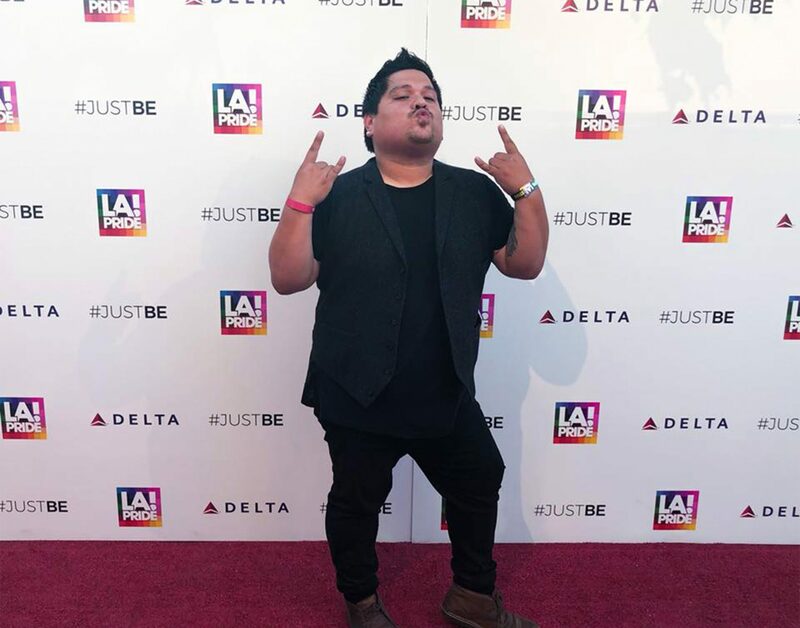 So, as you know, we’re impressed with Anthony Desamito – tell our readers more, for example what you’re most proud of as a company and what sets you apart from others. Right now I co-host a monthly show at the Hollywood Improv Lab with my friend Alexis Grossman called, “Ya Feel?” It’s a themed-show where comics spin a wheel of emotions and perform their sets using the emotions that they get. I came up with the idea at a cannabis festival in Tucson, AZ, where the best ideas are made. The show is a blast and we are reaching our year and halfiversary this Sunday, July 22nd at 8:00 pm. We’ve had amazing headliners perform on the show such as Sherri Shepherd, Janine Brito, Aparna Nancherla, Jackie Kashian and Thomas Dale. You can follow the show @YaFeelShow. 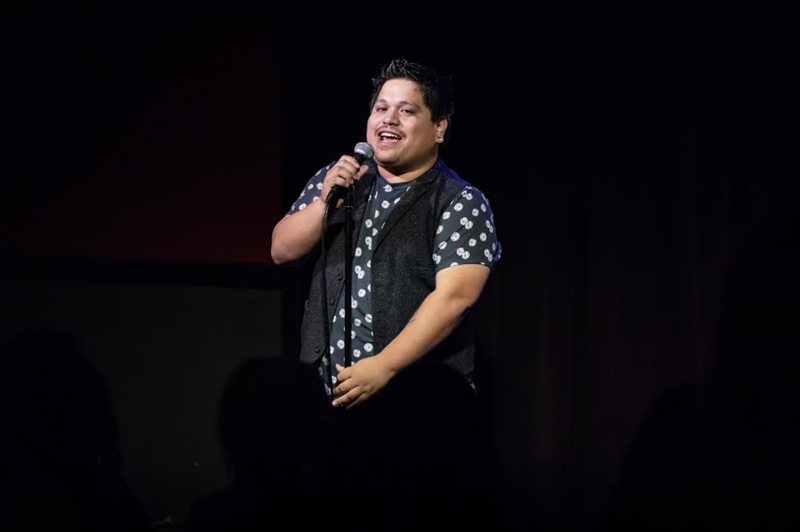 I tour and feature for Daniel Franzese of Mean Girls fame, recently we went to New York to perform at the Laurie Beechman Theater in Times Square and the College of Statin Island. It was super fun! 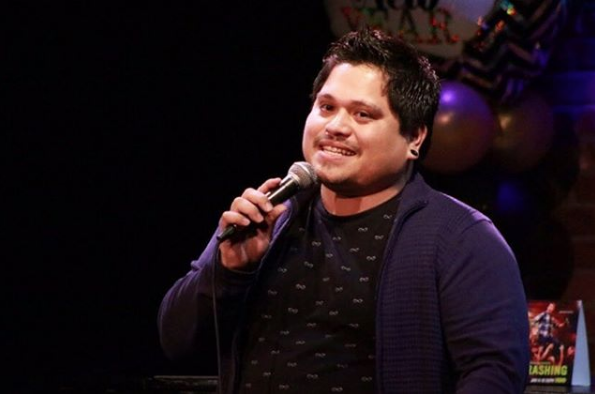 Daniel and a group of us such as Matt LeGrande (Fagabonds) and Nicky Paris are trying to create visibility for gay comedians in areas of the comedy scene that are populated by the straight bro types. 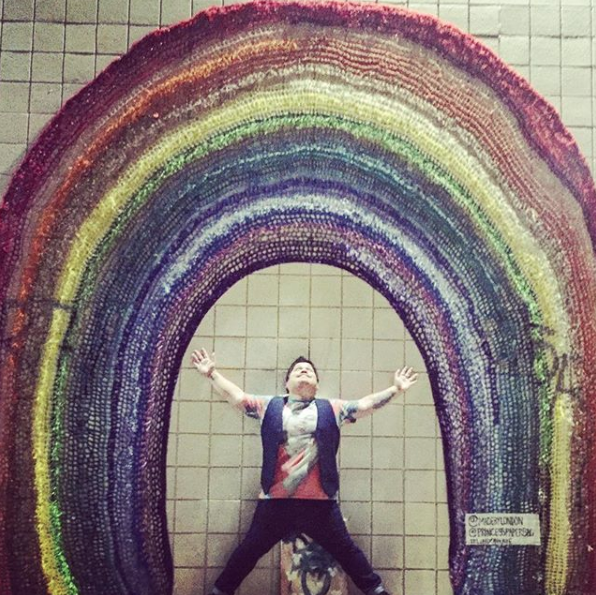 It’s West Hollywood, why aren’t there more gay comedians?! 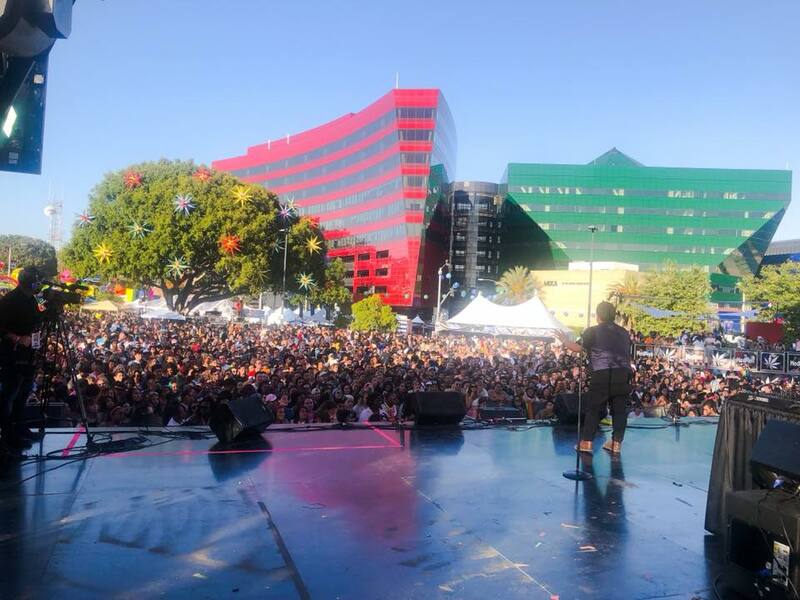 Recently, seeing stand-up comedy represented at LA Pride this year (hosted by Arisce Wanzer, a hilarious transgendered woman of color), really meant a lot to me. I want people to not laugh because we’re different but laugh because of what we’re saying and it’s time for things to change. And it’s not just the straight people who have to adjust their perspectives, gay audiences too. The gays love Kathy Griffin, Margaret Cho and Lisa Lampanelli, but we need to go out and support gay/trans comedians too. We need a gay Bill Burr! 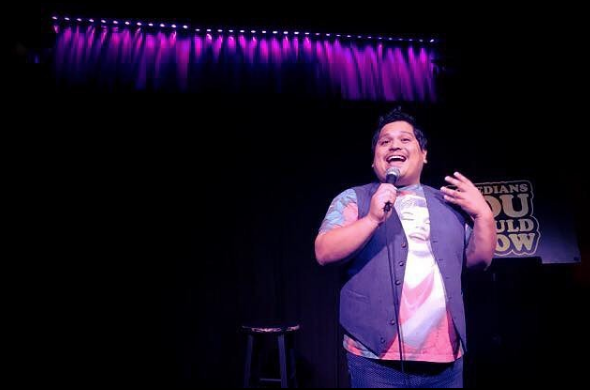 I’ll be at the Portland Queer Comedy Festival on July 19-22 representing Latinos and supporting my fellow gay comedians. I like that people are nice. I dislike that people can be fake. 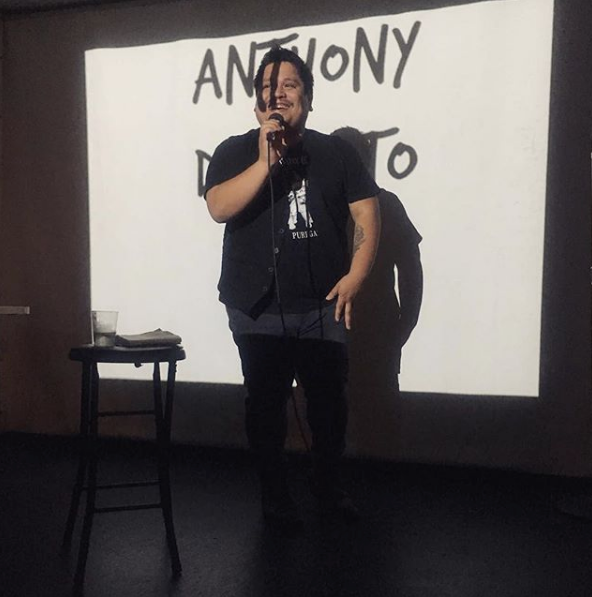 I saw a straight-white-male comic compliment another straight-white male comic after a crappy set… I’m glad I had my fan or else I would’ve fainted.